DVD #1 is very important because the learning sequence of obedience commands is determined according to the methods of the correct dog training process. With this DVD You will also learn the commands “Sit”, “Down” and “Up” to keep the dog still and stop any unwanted activities or movements. The command “sit”can be used to stop a dog before crossing a road, when exiting your house and also while getting into or out of a car. The command “down” is used in daily life situations, such as when the dog must lie down where it is and be patient. The command “up” is used during walks – you can stop a dog with the command “UP” and the dog must stay still on all four paws and let passersby be. This command is also often used while taking care of your dog, for example, while washing or grooming a dog. 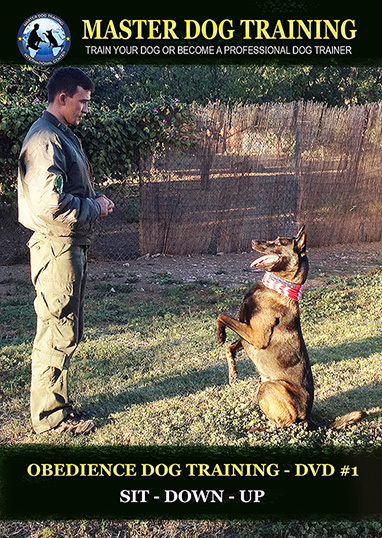 All 3 commands «Sit», “Down” and «Up» are important for the development of patience in 3 different positions. Without these commands, it is impossible to keep the dog still and therefore to make it obedient and patient.